The Raiders have made repeated public statements this offseason that Derek Carr is their starting quarterback both for now and for the future but GM Mike Mayock hedged on that Thursday when he admitted the team could select a quarterback in the upcoming draft according to MJ Acosta of NFL Network. With the No. 4, 24, 27 and 35 picks in the upcoming draft, the Raiders have more than enough ammo to work with if they want to select Carr’s replacement. 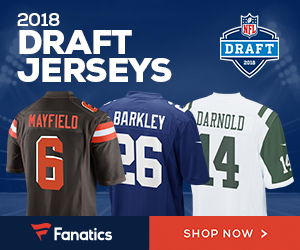 And let’s be honest-teams who truly believe they have a franchise quarterback in his prime (Carr is 28) are not considering drafting a QB in the first round. If the Raiders do not fully believe in Carr, they will never be in a better position draft wise to replace him than in 2019. Rumor: Gruden May Return To Raiders? 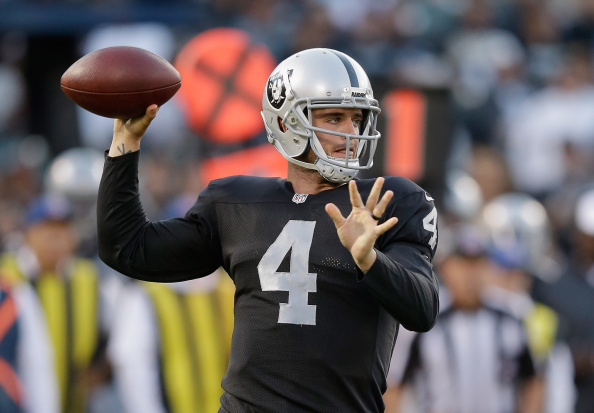 Be the first to comment on "Could the Oakland Raiders Replace QB Derek Carr in the Draft?"